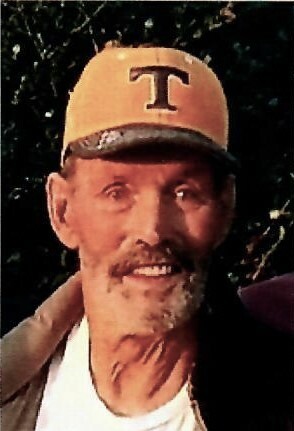 Thomas "Tom" Patrick Mason Sr. "Timber J. Wolf" passed away unexpectedly due to natural causes at 5:37am on July 9, 2018. A Celebration of Life will be held at his home on July 28 at 1474 Pleasant Hill Rd. McMinniville, TN at 12 noon. All family and friends are invited. Mr. Mason was born in Hartford, Wisconsin on July 30, 1941. He was raised in Allentown, Pennsylvania where he graduated from high school. He then attended Los Angeles Community College. He also served in the US Army. He was a retired mechanic, farmer, and painter. He loved fishing, hunting and socializing with his friends and family. He was known to never meet a stranger. He was proceeded in death by his wife Teresa Colene Elrod Mason. He is survived by his oldest son, Mark Mason and his wife Michelle Mason and their son Dillon Mason of Rock Island, TN; daughter, Dottie Mason; son, Tommy Mason and his wife Lisa Paz-Mason and their two daughters, Madison and Makenna Mason of McMinnville, TN; daughter, Dora Mae Ramsey and husband Bo Ramsey and their two children, James and Samantha Ramsey of Morrison, TN. In addition, he is survived by his brother, Richard Mason of Alabama and his sister, Eileen Snider and husband Mel Snider and daughter Mayleen Snider of Maryland. He is also survived by extended family, brother-in-law, Douglas Elrod and his three children Shannon, Darek, and Chelsey Elrod of McMinnville, TN; niece, Wanda Mason, great nephew, Chris Bottoms, and great niece, Leah Mongomery of McMinnville, TN: nephew Chris Scott of Nashville, TN; niece, Kim Bohan, great niece, Caitlyn Bohan, and great nephew, Alex Bohan of Nashville, TN. To send flowers to the family of Thomas Patrick Mason, please visit our Heartfelt Sympathies Store.